I remember, not too long ago, looking a child right in the eye as he begins to slowly, deliberately tilt the full cup of water in his hand. “Stop – don’t you pour that on the floor!” I say, as I watch him do exactly that. I want to swoop in with the swift punishment that such clear disobedience surely deserves. But I have to stop, and reconsider my motivation. It’s not just punishment that he needs, it’s discipline. There is a big difference between punishment and discipline, and it’s important that we understand it. The goal of punishment is justice and retribution for wrongdoing (Ps. 59:5, 2 Chr. 6:23). Punishment is the consequence we deserve for our sin, but Jesus bore this punishment for us on the cross (Mat. 25:46, Lam. 3:39, Jer. 21:14, Luke 23:41, Col. 2:13-14, Isa. 53:5). The punishment we deserve would destroy us completely (Rev. 6:17). Punishment is a last resort for the rebellious and unrepentant (Pro. 29:1, Jer. 36:31). The punishment of criminals is one of the duties God assigns to the state (1Pe. 2:14, Rom. 13:4). Punishment is ultimately God’s responsibility (Ps. 98:9, Jer. 11:20, Rom. 12:19). The goal of discipline is repentance, growth, and life (Isa. 26:16, Pro. 6:23, Pro. 29:15). Discipline might be painful, but it leads us to righteousness (Heb. 12:11). Discipline is administered by a wise, loving God for the good of His children (2 Sa. 7:14, Pro. 3:11-12, Heb. 12:5-8, Rev. 3:19). Discipline is administered by wise, loving parents for the good of their children (Pro. 13:24, Pro. 19:18, Pro. 23:13). Discipline should not be done in anger (Eph. 6:4, Jas. 1:20, Gal. 6:1). Those who respond to discipline will be spared from punishment in the future (Pro. 15:10, Pro. 15:32, Jer. 7:28-34). Six Bible-based elements of well-rounded, constructive discipline are outlined in Doorposts’ newest chart, Ingredients of Godly Discipline. The goal of discipline is to bring about change, to alter the course, while punishment merely metes out justice, or even revenge. Our job as parents is to administer firm, loving discipline that leads our children to repent of their sin and walk in righteousness. This discipline is both driven and tempered by the grace God has shown us in saving us from the punishment we deserve. Update: Thanks to the moms who pointed out the need for some practical application here. I’m going to list some reactions that could be considered straight-out punishment, and then let me describe what discipline looks like in our home, on a good day, with an almost-three-year-old. First let me caution you that this is merely our method for applying these principles. It’s not a formula everyone needs to follow. But hopefully it will help you see how punishment and discipline might look different in real life. What would punishment look like in the above situation? Yelling at my son (what I usually feel like doing). Immediately hitting or spanking him without talking to him. Pouring water on his head. Giving him a “time out” but never talking to him. Making him clean up the mess but not addressing the disobedience. Doing nothing, but being angry at him for the next hour. Ignoring instances like this all week and then finally blowing up at him or spanking him when it happens for the fifth time and I’m fed up with it. What would discipline look like? 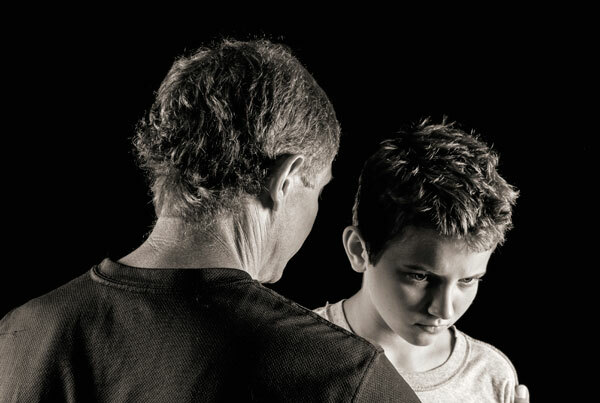 With a younger child, you’d probably have less discussion, just explaining what he did wrong and why you have to spank him. With an older child, you might have more discussion, give him a chance to tell you what he thinks he did wrong, and maybe more creative discipline based on what you know will motivate him. It takes time. Especially when you’re the only parent at home, it’s hard to take the time to discipline like this. But in our experience, the time investment will eventually pay off. To study and apply this kind of constructive discipline in your home, see Doorposts’ new chart, Ingredients of Godly Discipline. Good to read and be reminded of. I was just wondering: how did you discipline your child for such wilfull misbehaviour? Can you give some practical examples of how discipline is different from punishment – or is your own motivation / heart the only difference? This sounds so good, but I can’t help getting frustrated. I have trouble figuring out what discipline looks like in the middle of the offense. I feel like I when I let things go so that I can cool off and not respond in anger, by the time I’ve calmed down, I’ve moved on (easy to do with lots of kids in the house) and the offenses don’t get dealt with. I just don’t know what discipline looks like when you’re really angry and frustrated with a rebellious child. How does discipline handle the kids who smirks while he pours out the cup of water right in front of you? In agreement with the other 2 mothers. I’d like a better understanding as well. I’m alone w/my 2 children a lot of the time, when my husband is working. I feel like I can be overwhelmed with my children, mainly by end of day. When the kids get giddy and silly and think, mom’s warn out. Let’s not obey. And maybe they’re just being silly children. A little guidance would be so wonderful. Thank you. In concurrence, I’d appreciate more practical application. Punishment has been the example far too long and we don’t know anything different but really would. Thank you. Thanks to all of you who pointed out the need for more practical application. I’ve added an update to the post that I hope will be helpful! Overall, I agree with this and is how I have handled most things in my home BUT I have to point out that I rolled my eyes at the “we need a spanking.” That is just as bad as, do you want me to give you a spanking. Non-sense. “We” don’t need a spanking, the child needs a spanking; just my opinion. I have instilled in my kiddos a sense of responsibility for their own actions. They didn’t make me give them a spanking, but they did chose one when they deliberately disobeyed. I would also say limit the conversation when they are younger to cause and effect otherwise you will raise a debater. Wait for the logic and reasoning until they can actually engage in that type of thought process which is later in life and not before 8, in my opinion. And we never used spankings as a “I don’t know what to do and I’m so mad so I’m going to spank.” Spanking was a consequence reserved for deliberate disobedience before the age of 5. I don’t think we have ever had to spank past that because expectations have been laid out. “When you disobey, I have to give you a spanking’ ? Just which Bible did you read, and where did you find Christ EVER telling us to hit a child? You will find he warned us about ever hurting and causing a child to ‘stumble’. He warned us that it would be better to have a millstone put around our necks and for us to be thrown into the sea. He told his disciples that to enter heaven, you had to become like a child. Do you really therefore think, that Christ would want you to hit a child as punishment… ? You are throwing His dying on the cross for our sins back in His face if you hit a child and worse, tell them that God wants you to do that !! It’s completely wrong, and nothing could be further from the truth. Discipline is needed, and discipline means to teach not to hit. Just as Christ did with his disciples…. he taught them, he didn’t hit them .. and yet to him, they were as children. As for those who seem to think that those of you who say to limit the conversation to a young child as you might raise a ‘debater’ what on earth is wrong with learning to ‘debate’ ? That is a very good thing to learn. It doesn’t mean a child will get what they want necessarily, but it will mean they learn how to argue their case, and how to understand why they can’t have something or can’t do something instead of just being told basically that what they feel doesn’t matter, and therefore shutting them up just so you don’t have to use your brain to help your child grow up! As for the comment ‘Wait for the logic and reasoning until they can actually engage in that type of thought process which is later in life and not before 8’ …. so you in the meantime simply hit them? When they can’t understand as you do and are unable to reason as an older child or adult can ? !!! How is this going to work ? ! Perhaps the locals here in Portugal where I now live should hit me when I don’t understand and can’t reason my way through the language sometimes because I am not yet fluent ? Ah no … of course .. they cannot, because I am an adult. But then again … they can’t and don’t hit their children here either as it is illegal. They show great respect to their children, and it is returned in time as the child learns who to trust, and who to respect. Not all adults do deserve respect, and they need to learn who those are. Respect is not fear. No one deserves to be hit. EVER. Satan certainly has managed to worm his way into many Christians and told them the lie that they need to hit their children….. when if those Christians only read the Bible for themselves they would find that Christ never told us to hit children. I am, btw, an almost 60 yr old grandmother, and I can tell you that my parents lost my love, my respect and my trust from the first time they hit me, and they NEVER got it back. I don’t love, respect or trust anyone who hits me. Why would I? Do you love, respect or trust someone who hits YOU as an adult?? I learned nothing, except fear, pain, anger, hate and resentment and that my parents lied. (“WE don’t hit in this house”) I also learned they didn’t love me, because you don’t hurt anyone let alone those you love. And no, the post spanking nonsense (also mentioned above) of “oh btw we love you” and the attempted hug meant nothing to me, because they had just demonstrated with their hands that they didn’t. I never hit my children, I taught them right from wrong. Christ died and gave us grace … for us ALL not just for adults. If He is and was good and wonderful and gentle enough to die for us .. for our sins .. and give us grace .. how and why should we adults hit our children and punish them ? My children are now gentle, kind adults with children of their own, none of whom are hit and all of whom know that hitting is wrong period unless in self defence or defence of another. Daniel I am sorry but in condoning, nay, requiring children to be spanked you are doing them, the parents who read this and yourself a great disservice ~ not to mention our Father in heaven. TealRose, as a personal friend of the author I will testify that he himself was raised with this very same method of discipline, as were his siblings. My brothers and sister were also raised under the exact same disciplinary model. That’s a total of ten mature, responsible adult members of society who are now mothers, fathers, missionaries, business owners, and engineers who are highly valued members of their communities who clearly and obviously love their children AND parents (yes, the ones that “hit” them so many thousands of times growing up). As an additional note, Daniel is easily in the top 1 percentile of the World’s Most Patient People rankings. That is what happens when you follow God’s wisdom. I am sorry your parents were hypocritical jerks, but that is not Solomon’s problem. No one can sin their way through a method and expect righteous results at the end. Garbage in, garbage out. Thanks, Teal Rose, for your comment. As the grandmother of Daniel’s children, I can assure you that they are some of the sweetest, most loving, gentlest children I know, and are very secure and happy in their Daddy’s love. And you should notice that Daniel is using this form of discipline when a child has purposely challenged his God-given authority. (God has placed him in the family as one of his children’s primary earthly authorities.) He doesn’t use this form of discipline for every issue with his children. I must respectfully disagree with your conclusions. Spanking can definitely be misused, and when it is, it does become “hitting” as you refer to it. “Hitting” is done in anger and with a wrong spirit. It usually becomes a personal issue. The child has disobeyed ME, and I’m angry or inconvenienced or embarrassed. “Spanking”, when done correctly, is done with a gentle, loving spirit with the express goal of repentance and restoration. And it is done in the context of a loving, secure relationship. We can help our children understand that they are disobeying God, who commands children to obey their parents, a command that comes with a promise. This lets a child know where the boundaries are, and the children I have seen who are consistently disciplined, and occasionally spanked (when needed) with godly love and self-discipline, are happy, secure children. We raised six children, and some of their discipline included spanking. They are all happy, productive, disciplined, God-worshipping adults now. 🙂 Their spouses, also spanked, are equally delightful and well-adjusted. I praise God for that. It is certainly a demonstration of His loving grace! I’m truly sorry that your parents lost your love over the issue of physical discipline. That is a great loss for you and for them. We all make mistakes. I’m sure they made their share, but you (and your family) are the ones who lose if you let those mistakes haunt you for the rest of your life. Please don’t be offended by my words. I speak from my own experience. My husband and I and our children would have missed out on so much blessing if God had not moved me to forgive my father for sins that I finally realized I had no right to punish him for. I’m a Christian, early childhood professional, and have written a book entitled, “Gentle Firmness,” which is an in depth study proving the Bible does not teach spanking/hitting and shows the harmful effects of spanking/hitting children. My book also shows that all children can be disciplined without hitting. My Master’s thesis was on denial of the harmful effects of corporal punishment, and the data shows that calm spanking has a higher risk of children denying & repressing their emotional pain of being hit “lovingly” and in God’s Name. Hence the “I was spanked and I’m ok” rhetoric. The statistical data makes it clear that being calmly, “lovingly” spanked/hit in childhood makes these children more likely to view spanking/hitting positively and less likely to believe that spanking/hitting is harmful to children if it’s done “correctly” and in Jesus’s Name. This means people use denial and repression of the physical and emotional pain as a coping mechanism, thus, making them truly believe that they turned out well. There are so many positive discipline strategies that do work and are very Biblical that I don’t understand why Christians feel physical punishment is necessary. Some of the discipline strategies that work very well are modeling, child-proofing, validating feelings, fulfilling the child’s physical and emotional needs, setting realistic limits and boundaries, helping children comply, giving choices, and using natural and logical consequences with children. And yes, these have worked with some very difficult children. Finally, the rod verses were never meant to be taken literally. To further explain Proverbs 13:23-24, this means not allowing your child to go down the wrong road that could lead to a premature death. This has absolutely nothing to do with Hell as Dobson and many other Christian advocates of spanking believe. Children need limits. I am very pro-discipline. We wouldn’t let a toddler run out in the street to be run over by a car. But instead of spanking the toddler, we should firmly tell the toddler that the street is dangerous, and then show the toddler the safe way to cross the street holding onto Mommy or Daddy hands. Does hitting a toddler really teach him or her why the street is dangerous and how to be safe? No. It teaches them that danger makes Mommy and Daddy hurt me. That Jesus wants me to be hurt when I’m in danger. Plus, it’s our job to keep young children safe as they cannot keep themselves safe. Remember, young children cannot make abstract connections like adults can. For more into, check out http://gentlefirmness.wintersauthor.com. God bless. Whether Daniel is patient or not whether his or any of your children are wonderful or productive or seemingly happy the fact is if you hit your children you are going against the Bible and God’s own law. Just because something has been done for hundreds of years doesn’t necessarily make it right. You ignore Christ’s warnings at your own, and worse, your children’s peril as you will have taught them that hitting is godly and there is nothing further from the truth. They will grow up thinking that hitting your grandchildren is fine when Christ warns us against hurting our children and causing them to stumble. As for me I forgave my parents but their hitting of me destroyed our relationship forever. Please read more of Stephanie’s excellent book and learn what God really wants for children. Learn the truth about how the devil has been able to lie to you. If you can find chapter and verse of where Christ commanded us to hit children I will be shocked as it isn’t in the Bible. Please explain why grace in your eyes is only for adults and not the most innocent among us, namely our children. First, Stephanie, I would not condone spanking a child as a means of teaching him to not go out in the street, but I would spank him if he was standing at the edge of the street, was told not to go out into the street, looked me straight in the eye with a look of defiance, and purposely went into the street. The two scenarios are very different. Next, of course there are many other discipline “strategies” to use besides spanking. Our relationship with our children is a personal one that involves conversation, helping them practice right behavior, explaining reasons behind rules, setting a good example, sharing time together. If a parent side-steps all these relational aspects and only resorts to spanking, of course there will be problems. I see no reason why grace must preclude spanking. Grace doesn’t mean there are no consequences for our choices. We aren’t just free to do whatever we want and then claim God’s grace. God is gracious, longsuffering, merciful — and just. He was incredibly patient with His children, the Israelites, but He did also “spank” them, quite forcibly at times, for their continued rebellion. And He did it out of love for His children, to bring them to repentance. I agree that spanking should not be our only means of discipline, but I do not believe it is unbiblical, or that adults who give all signs of being happy, normally-functioning members of society are actually denying and repressing their feelings as a means of coping. They’re not really OK. They just can’t tell? And nobody else can either? Seems like faulty logic, to me. Anyway, I felt the need to respond for the sake of our other readers. I’ll move on to other endeavors now. 🙂 Thanks for your patience. Would you ever consider making a Pinterest account so we can pin all of these helpful articles for further reading? Thanks for sharing this. I often forget to discipline because it seems I am always in a hurry or in the middle of something with all the kids. It was a good reminder. Elisabeth, we do have a Pinterest board at http://www.pinterest.com/doorposts/. There should be a “pin it” button on the image above that will let you pin the post to your own board as well. Jesus taught the very opposite of this post. He never taught us to use violence, especially against someone so small and defenseless. We are to turn the other cheek for our enemies but hit our children? How absurd! The Bible commands us to be like the good shepherd, and a good shepherd would NEVER us his crook as a tool to hit. He uses it to guide and rescue his sheep. My goal was not to start a debate over spanking. But if you read the verses I referenced about discipline, it seems very hard to make a biblical case against it. I agree that discipline should include gentle guidance, verbal instruction, hand holding, etc., but there is also a place for some discipline that hurts a little, such as under-control spanking. Otherwise why would Scripture say discipline is painful, not pleasant? We ‘patted’ when they were younger, sort of the same pat that goes on the bottom when you tap tap them, with a diaper on. No physical pain or discomfort. We’d pat their hands when they were about to be disobedient and touch something hot. As they got older, we only gave 2-3 spankings, and they were more like firm pats. It was for willful disobedience, and in the manner that Daniel laid out. A lot more hugging loving talking, bringing Christ in, and more hugs than any firm pats. However, the boys knew – if they chose to willfully disobey – then they chose the consequence. We were consistent and not emotional. The only emotion given was like the example given – joy of restoration. And as one commenter said – sometimes they would ask for the spanking – because then it is over. But not all discipline leads to pats on the bottom. I LOVE the ideas given in For Instructions in Righteousness as we fine tuned their character training. It really helped me not to punish outward actions, but to disciple inner character. Oh – And now I have two teen sons that we have very open honest communication -and their character is amazing. “Whoever spares the rod hates their children, but the one who loves their children is careful to discipline them.” Key word is ‘careful’. Kids in the past couple of generations have been spared the rod, and as we can so clearly see throughout society, it has had a very negative effect. All these people who say youre going to damage your little ones’ spirit if you spank them… take a look at a news headline every once and a while and let’s see how that ‘spankless’ thought process is working out. Raise your child however you want and let me raise mine. I think this article is great and gives good, sound biblical advice. Mavany, the “rod” is the word of God, not something to beat your child with. Do you actually believe that Jesus Christ would have someone hit a child? Thanks for the article. A good reminder that we, as parents, need to take the time to train our children and not just give a “consequence” to a wrong action. A relationship with our children is truly the best thing! The article reviews the Hebrew and demolishes all attempts to turn the clear Biblical teaching on its head. The metaphorical rod fad is just demonic propoganda, nothing more. Also, if you’re actually a Christian who believes in the Trinity, you know that Jesus Christ wrote the Proverbs along with the Father and Holy Spirit. Appealing to “Jesus never said . . .” as an argument against spanking is a denial of the Trinity and heresy, plain and simple. What anyone in their own head “thinks” Jesus would do in XY situation is worse than irrelavent; it is the exaltation of themselves above God, deciding that THEY are the arbiters of truth and justice. That is idolatry. BTW, if any Scripture-deniers here are offended at being called out as heretics and idolaters, too bad. The Pharisees and Sadducees were offended too. I can’t thank you enough for your balanced, Biblical, and godly teachings. My precious family has benefited over the years as they have grown into wise, kind, loving young adults and I thank the Lord and your Doorposts materials for the amazing results. So much that passes for parenting today is not only unscriptural, but actually destructive as it relies on what man thinks rather than the Word clearly taught. I sadly recall being a hurt and confused young mother who would ‘never spank’ until the Lord broke my heart when my friend showed me the Scripture that said, “you hate your son if you don’t discipline him’. I knew in my heart that if I continued parenting ‘my way’, I would destroy my children and I repented. The results of my obedience, have been my children’s obedience as well and a genuine love for the Lord. I pray that God will open the eyes of some of these confused parents as he did for me before it is too late. I so appreciate your careful teaching of the Scriptures and your heart for the lord. In heaven you will see the rewards of your labors, as I am sure our family is not the only ones who have so graciously benefited from your books. Blessings to you and yours. Matthew 18:5. And he that shall receive such a child. The term children is now applied metaphorically by Christ to those who have laid aside lofty looks, and who conduct themselves with modesty and humility. Matthew 18:6. But whosoever shall offend one of those little ones. This appears to be added for the consolation of the godly, that they may not be rendered uneasy by their condition, if they are despised by the world. It is a powerful obstruction to the voluntary exercise of modesty, when they imagine, that by so doing they expose themselves to contempt; and it is hard to be not only treated disdainfully, but almost trodden under foot, by haughty men. Christ therefore encourages his disciples by the consoling truth, that, if their mean condition draws upon them the insults of the world, God does not despise them. But he appears to have had likewise another object in view; for a dispute had arisen amongst them as to the first place of honor, from which it might naturally have been inferred that the Apostles were tainted with sinful ambition. Every man who thinks too highly of himself, or desires to be preferred to others, must necessarily treat his brethren with disdain. To cure this disease, Christ threatens a dreadful punishment, if any man in his pride shall throw down those who are oppressed with poverty, or who in heart are already humbled. Under the word offend he includes more than if he had forbidden them to despise their brethren; though the man who gives himself no concern about offending the weak, does so for no other reason, than because he does not render to them the honor to which they are entitled. Now as there are various kinds of offenses, it will be proper to explain generally what is meant by offending. If any man through our fault either stumbles, or is drawn aside from the right course, or retarded in it, we are said to offend him. Toby, thanks for pointing out the actual context of Matthew 18:6. I think that’s important to understand, and it helps us interpret that passage correctly. Also, to Mary, who says Jesus never taught us to use violence, I think it’s apparent in my post and in many of the comments that parents are capable of spanking in a way that is not “violent.” Is a doctor being violent when he gives you a shot designed to make you well? It might hurt for a moment, but the intent is loving and the outcome is beneficial. I rather think that some of you honestly do not know facts. Like around 92% of all American children are spanked aka hit still today. There has been no tailing off of hitting children in the States. If you are seeing children going off the rails you should ask yourself if either the 8% who aren’t hit are causing your problems which is pretty doubtful, or whether being hit and treated so woefully and wrongly might be more likely to be the problem. Again I ask show me chapter and verse where our Lord, who told us to turn the other cheek and to be gentle and mild told us to hit our children. In short He didn’t. I predict a large run on millstones, which is shame as you could learn to do as Christ taught us, and not be led astray by satan and those who ought to know better. Fear is not love nor is it respect. Love and fear and pain do not belong in the same sentence. And as expected Pam and the rest haven’t read Steph’s wonderful, gentle and Godly book. Or have chosen to ignore the love and truth in those pages. I am so thankful God gave me nerves to experience pain when I touch a hot stove or poke my eye. Now I know that those things can harm me and I shouldn’t do them. I learned this at a very young age. I am also thankful God didn’t spare His own Son the pain and agony of the cross. I am so saddened by the misunderstanding of what godly spanking is. It seems it is difficult for many to see that spanking can be done in the wrong spirit (what I think commenters are describing as hitting) but it CAN be done in a loving, godly way, too. I think Brian, Daniel and his mother, Pam, have provided Scripture references that support (correct) spanking, and I think they are right, proper interpretation of the Bible is SO key to understanding this issue. I personally have found so much guidance and have been greatly encouraged by Pam and Daniel, and am SO incredibly grateful to God working thru them to help me. I wish their extremely caring and generous nature was evident to readers who misunderstand. They really are some of the most kind, gentle people I’ve encountered. On a side note, TealRose, I am so sorry for the experience you had as a child, it sounds horrible. May God grant you the grace to truly forgive your parents for their wrongful behavior towards you. Thought I’d better add a ‘P’ to the end of my name to claim the above comment as being from me and not the previous’Heather’ who commented. Also… I’m really looking forward to reading Andy’s article! Thanks for your tireless efforts to help! And the reason I personally don’t need to read Steph’s book is because I can tell we differ ideologically. I believe the Bible condones spanking (as a controlled, planned action of love… it CAN be done!!) and she clearly doesn’t. I’m not being close-minded, I just feel personal conviction of what God’s word says, and any argument to the contrary, to me, isn’t Biblical. I just want to draw attention to Bryan Hangarner’s response to the “show me where Jesus told us to hit children” comments. Jesus did indeed advocate physical discipline because Jesus is one with the Father and the Spirit, so He co-authored the whole Bible, not just the “words of Jesus in red” in the New Testament!